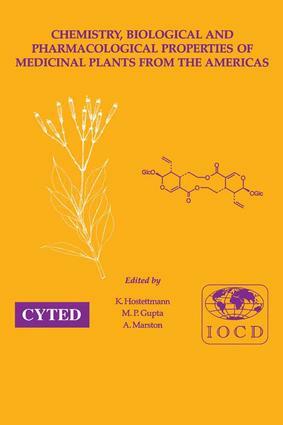 This volume is a compilation of plenary lectures presented at the IOCD/CYTED Symposium held in Panama City, Panama in 1997, and covers different aspects of research into plants from North, South and Central America. The topics treated all revolve around the chemistry, pharmacology, and biology of these plants. The importance of pharmaceuticals derived from plant sources is described, together with the potential of ethnomedicine for providing new leads in the search for bioactive constituents. The biodiversity of the Americas is underlined and an idea is given of the urgency with which the flora must be studied.